The B.C. Supreme Court has granted Vancouver publisher Douglas and McIntyre a 45-day extension to file a creditors’ proposal, the company said in a news release. D&M Publishers caught Vancouver’s book community off guard October 21, when it filed a Notice of Intention under the Bankruptcy and Insolvency Act, which put the company under protection from creditors until Nov. 21. That period has now been extended to Jan. 4, 2013. 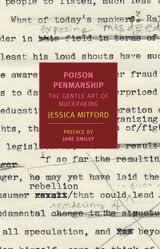 Poison PenmanshipIf I could have only one journalism book on my shelf it would be Jessica Mitford’s Poison Penmanship: The Gentle Art of Muckraking. Witty, acerbic Mitford was a British investigative reporter working in the U.S. through the 1960s and ‘70s and because she’s such fun to read it’s easy to forget how significant her work was. 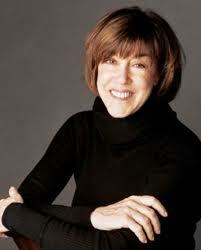 Her breezy magazine articles and books took down corrupt companies and whole industries while making everyone laugh. In Poison Penmanship -- which should be subtitled the best journalism education anyone can get -- she tells us how she did it in an essay following each piece. She spills it all: how she did the digging, how she set up the interview questions to progress “from kind to cruel” and (the best part) what she learned from what she did wrong. 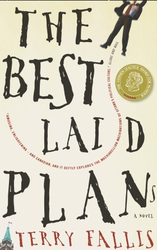 This roster of articles includes the forerunners of what became The American Way of Death, a remarkably funny investigation into the corrupt funeral trade that made her career. The 1963 book exposed how cynical undertakers exploited the grieving public and spurred changes in legislation all over North America as well as sparking a boom in memorial societies. The book also includes my favourite investigative piece -- “Let us now consider Famous Writers” – a 1970 article in which she takes on celebrity writers who lent their names (and their mugs) to advertise one of those overpriced correspondence schools. Ads for the Famous Writers School were a staple in most magazines of that era and their travelling salesmen were bilking money out of little old ladies who might (charitably) be described as functionally illiterate. The piece itself is a delight, detailing the publicly traded corporation’s greed in glorious, mind-boggling detail. But it’s the backstory about how wealth and power kept the article lingering in limbo for months that is the real eye-opener. What used to be considered a social faux pas is now a Facebook feature. Last week Facebook added “Places,” which is a variation on the creepy FourSquare social networking site that allows you to announce your presence everywhere in the real world. Merchants give points for mentions, which can be turned into rewards of dubious value. But Facebook manages to make it creepier, by ensuring that people who have never signed up for such an invasion of privacy are now subjected to it. Unless you opt-out, you can be photographed and tagged by the overzealous idiots on your friends-list and have your whereabouts reported across the grid. Over at the Village Voice dance critic Deborah Jowitt is wondering if technical tricks are replacing artistry in ballet. And while I’d like to contemplate this question along with her, I was much too distracted by YouTube videos of things that (20 minutes earlier) I would have said were humanly impossible. A U.S Press Club panel suggests that out-of-work journos may be able to pick up a gig with the CIA or a host of other intelligence agencies, which have been forced into the news biz. With all the dying newspapers cutting their foreign bureaus to save money, spooks have been left scrambling for intel. So they're hiring journos to gather it for them. Jeanne Robinson, 1983 (photo Greg McKinnon) Globe and Mail, June 7 2010 - Choreographer and author Jeanne Robinson, 62, took her final bow in North Vancouver on May 30 surrounded by friends and family including her husband of 35 years, novelist Spider Robinson. Although her death was expected – she was losing an 18-month battle with cancer – friends say they can’t believe the driven artist with the pioneering spirit is gone. 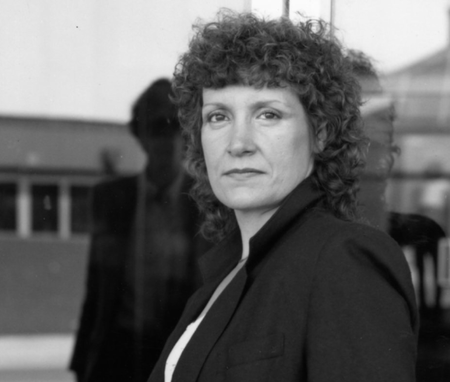 She founded Halifax’s first modern dance company, Nova Dance Theatre, and was working on a lifelong project to develop dance in zero gravity. “I loved her gorgeous impatience: she was fierce. Determined. She hated to give up,” says Pamela Anthony, who worked as Nova Dance’s manager, and later (at Robinson’s urging) became a dance critic.